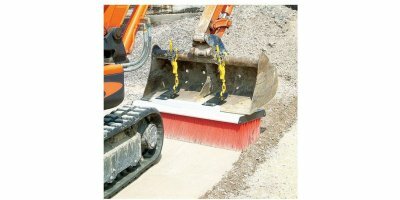 The SweepEx BGK-175 hitch enables a SweepEx Pro Broom to be easily attached to a bucket lip. The SweepEx BGK-175 hitch enables a SweepEx Pro Broom to be easily attached to a bucket lip. No reviews were found for Model BGK-175 Pro - Hitch Broom Bucket Guide Hitch. Be the first to review!